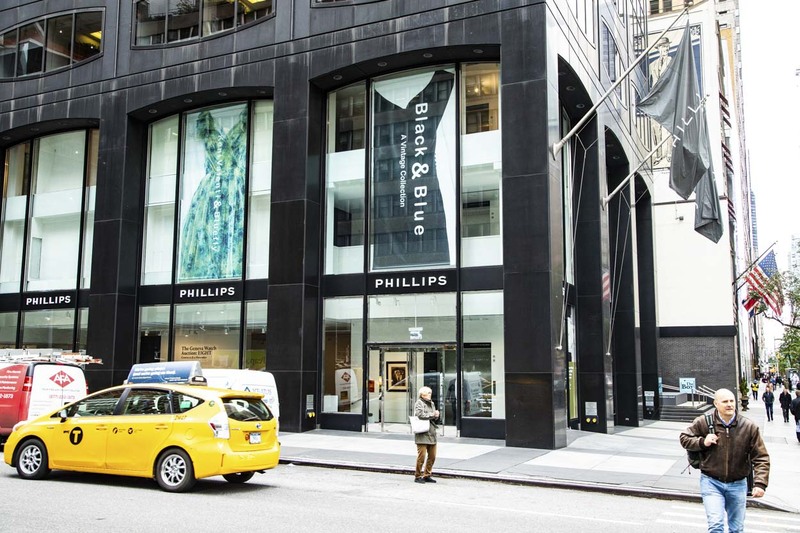 Phillips auction galleries full length banners at the corner of Park Avenue and 57th Street, NYC designed by curator Jeff McKay and Nancy Sharon Collins. Late October 2018: Phillips auction house in Manhattan’s tony, bluestocking district, premiered a curated selection of vintage apparel and accessories from Keni Valenti’s personal collection of over 20,000 pieces collected over forty years. This selection, and more, is currently being sold exclusively on Bluefly. This collaboration between Valenti and Bluefly was brilliantly curated by Jeff McKay. McKay worked directly with Mrs. Collins on the Black & Blue graphic identity for this unique show. Collins, best known for her eponymous hand engraved social stationery company, Nancy Sharon Collins, Stationer LLC, occasionally dips her toe back in the non-engraved identity world. But only for very special projects. One notable instance of this exception is the branding, and design, for Mr. McKay’s own website.